This Disney World 3 Piece Canvas Art piece named "Imagination at Night" consists of three equal sized pieces that features the Journey Into Imagination building at Epcot. This view of Journey into Imagination is not one that I have ever paid attention to during all of my trips from Minneapolis to Walt Disney World. But once I did notice it, I did not let too much time go by before I grabbed this photo of it. This print is also available as a Disney Wall Mural. 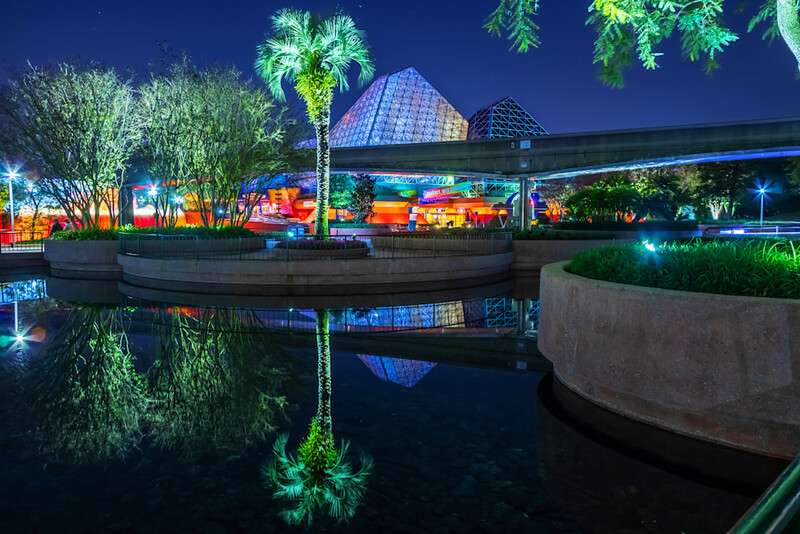 I hope you enjoy my Epcot images, and please feel free to share! Imagination at Night Photograph as Fine Art.